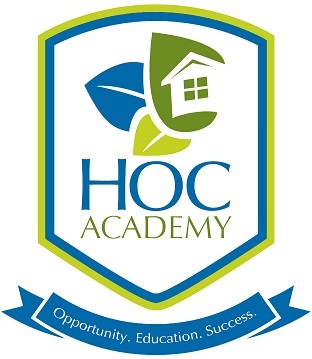 At HOC, we strongly believe that high-quality, stable housing can serve as a platform for achievement among adults and children alike. Rooted in that principle, HOC sponsored its 18 th annual “Food for Thought” academic achievement awards and essay contest, celebrating HOC youth achievements in the classroom. 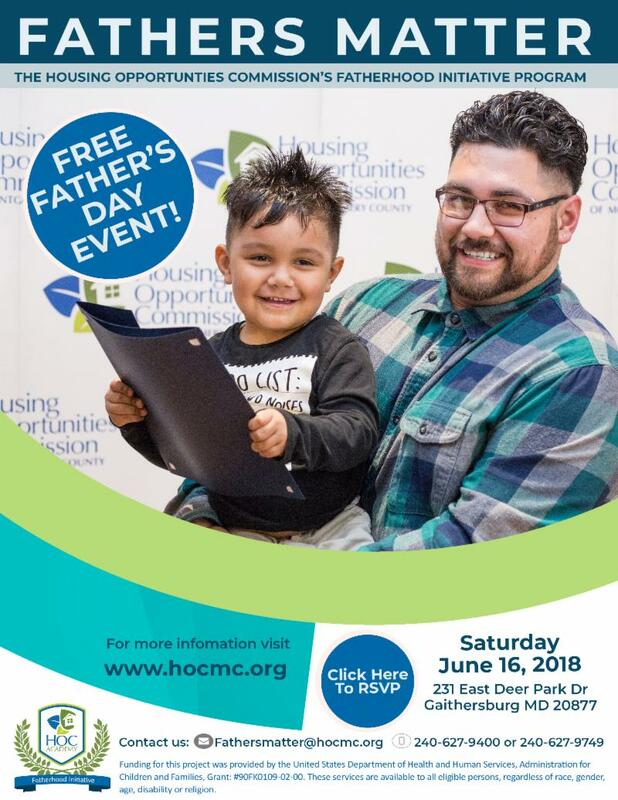 On Thursday, May 17, 2018, HOC hosted an awards ceremony and interactive family event to celebrate the Food for Thought honorees. 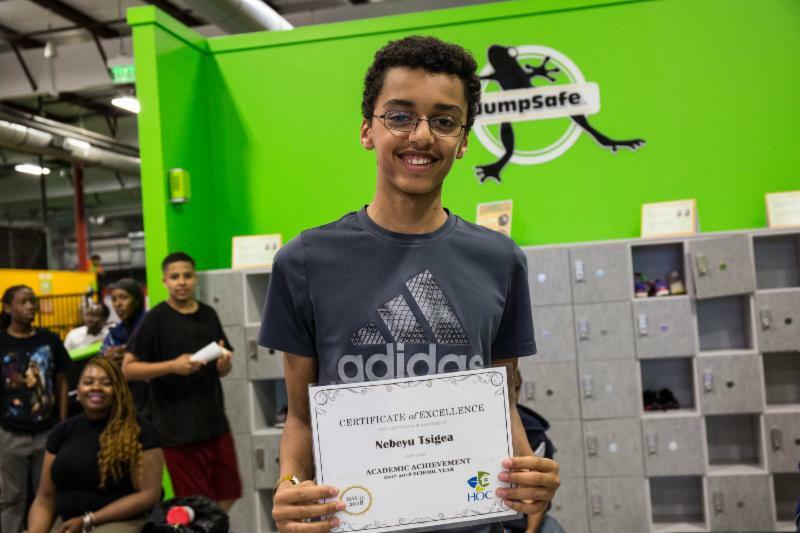 More than 120 attendees celebrated the accomplishments of HOC students in grades 3 through 12 who have achieved a 3.0 grade point average or higher with an evening of food and fun at Rockin’ Jump Trampoline Park in Gaithersburg. Six outstanding students were honored for achieving a 4.0 grade point average and three students were recognized as the winners of the essay contest and received gift cards. 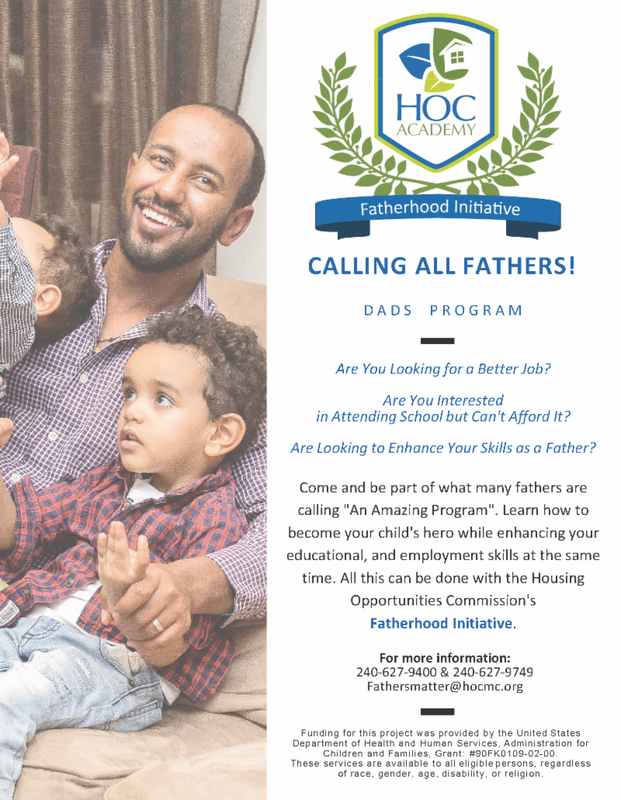 HOC's Fatherhood Initiative program is hosting a FREE Father's Day event. Registration is open for our Robotics, Media Production and Girls Got IT! Summer camps. 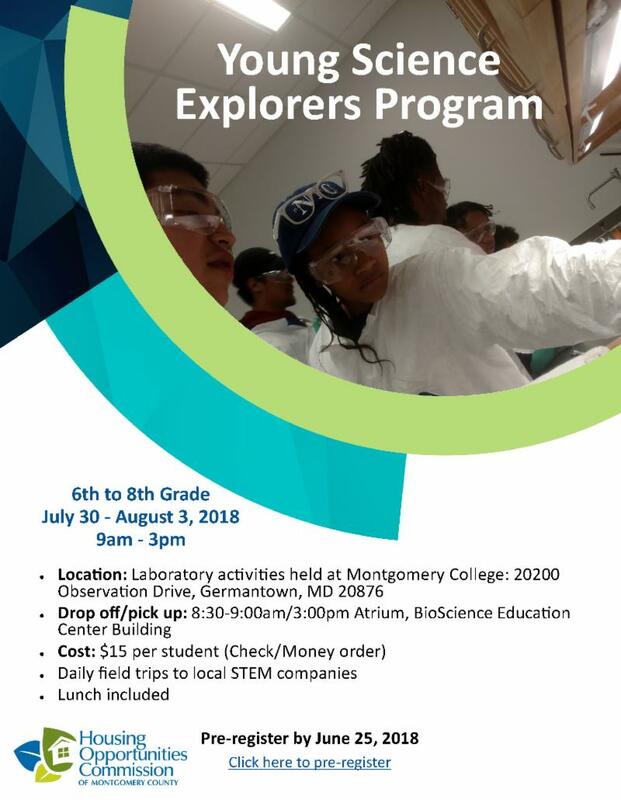 Young Science Explorers Program is partnering with HOC to host an off-site summer camp for HOC middle school students. The Montgomery College ESOL for Healthcare program will help you learn English and basic skills you need to work in entry-level healthcare jobs. 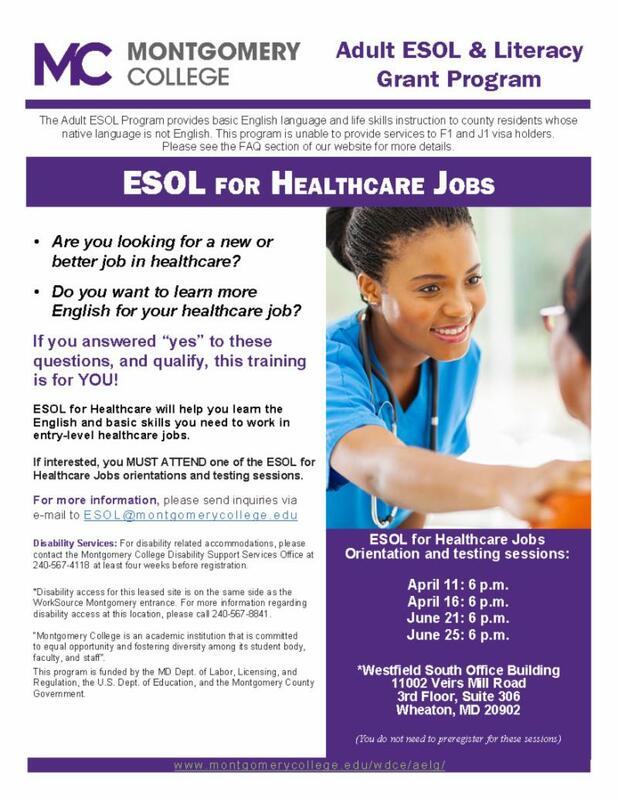 If interested, you must attend one of the ESOL for Healthcare Jobs orientations and testing sessions. For more information, please send inquiries via email to ESOL@montgomerycollege.edu. 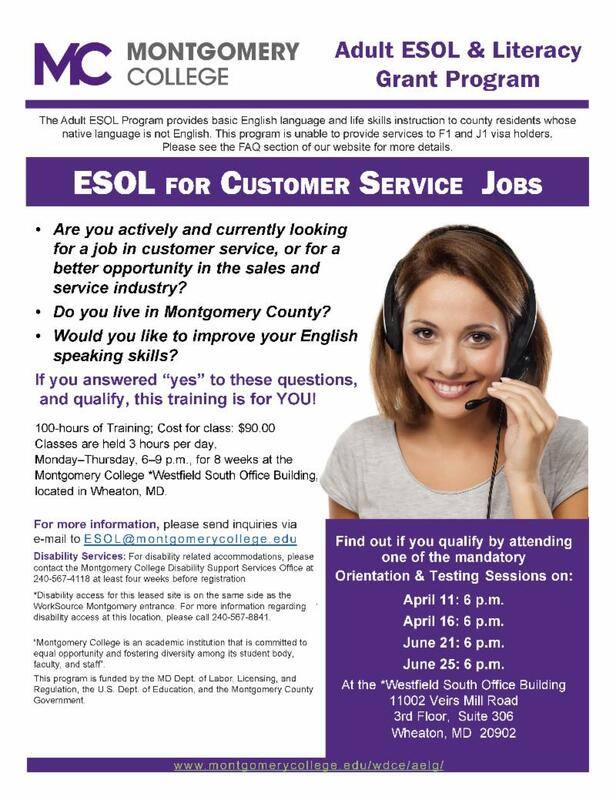 The Montgomery College ESOL for Customer Service program will help you learn English and basic skills you need to work in entry-level customer service jobs. 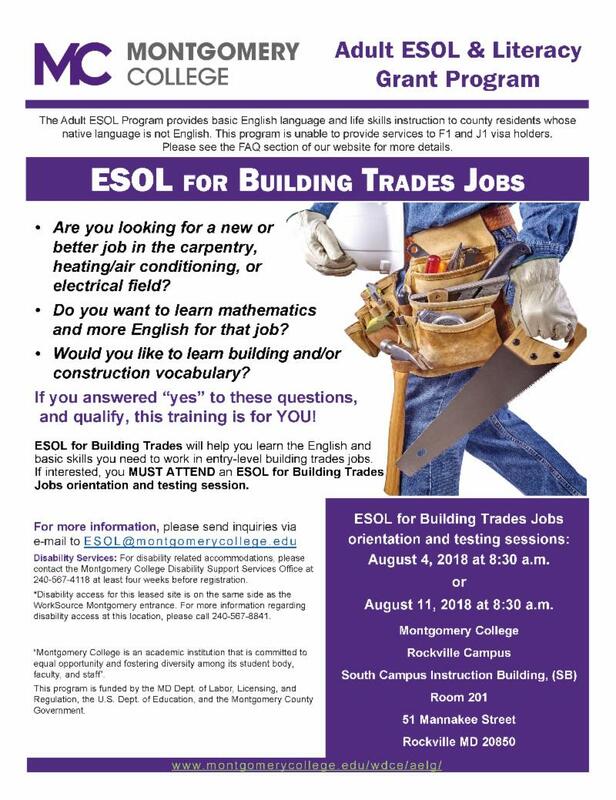 The Montgomery College ESOL for Building Trades program will help you learn English and basic skills you need to work in entry-level building trades jobs. If interested, you must attend one of the ESOL for Building Trades Jobs orientations and testing sessions. Architect Intern - Bennett Frank MacCarthy Architects, Inc. 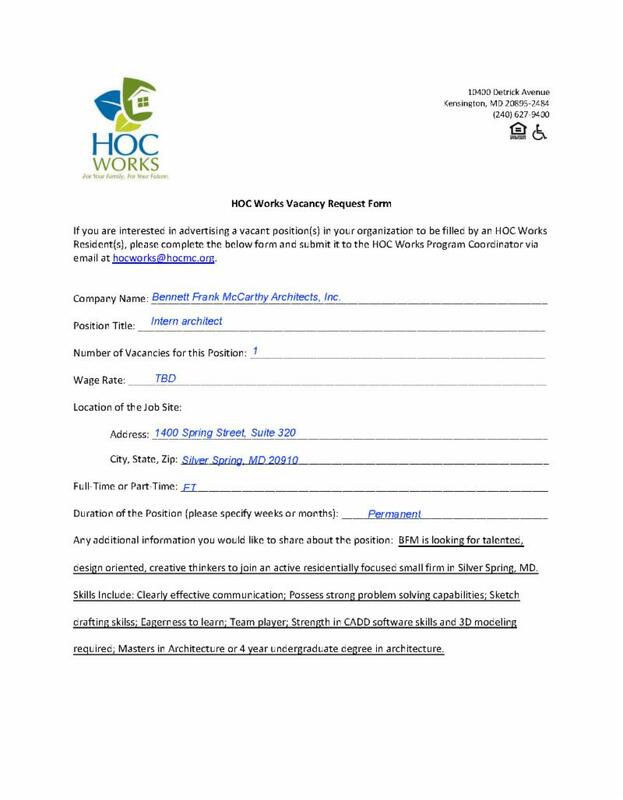 If you are interested in applying for this job opportunity please contact AEWD@hocmc.org. Click the attached flyer to learn more about the job opportunities. 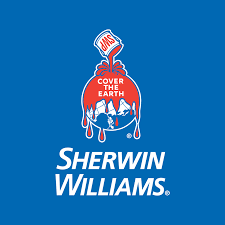 Sherwin Williams is seeking to fill various positions such as Delivery Driver, Sales Associate, and Part-time Sales Associate. For more information contact Angelica Thomson at 301-740-2523 x973 or e-mail angelica.thomson@cc-dc.org. FSS is a 5-year voluntary program that assists Housing Choice Voucher residents in achieving economic independence and self sufficiency in over a five to seven year period. 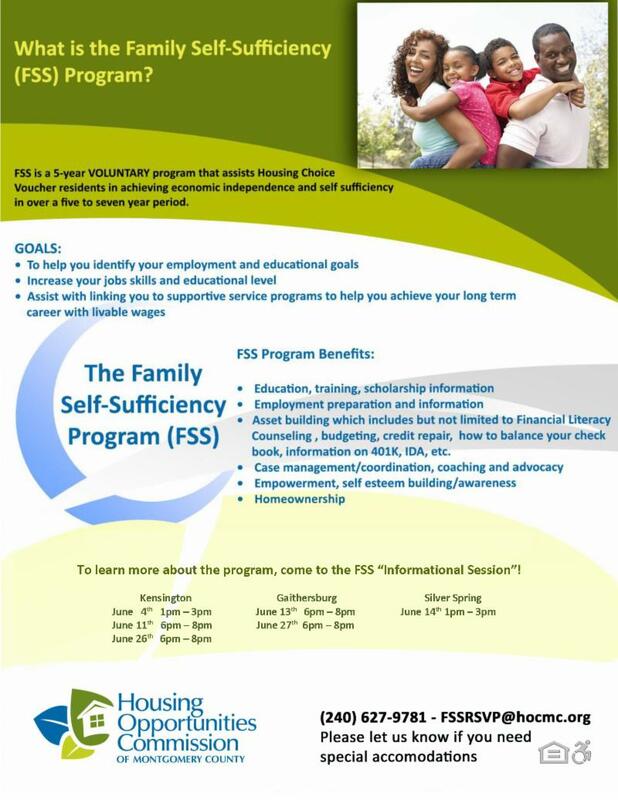 To learn more about the program, come to an FSS information session. 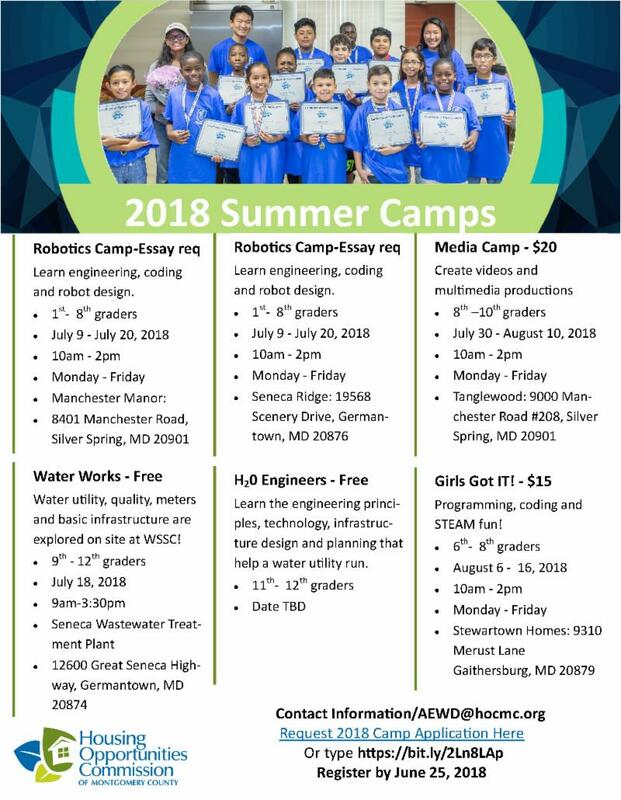 Click the Flyer to see upcoming sessions.